Shadow Black 2016 Ford Taurus ***1-OWNER***, $$ EXCELLENT SERVICE HISTORY $$, AWD, 20" Machined Aluminum w/Painted Pockets Wheels, Active Park Assist, Adaptive Cruise Control & Collision Warning, AM/FM radio: SiriusXM, Driver Assist Package, Exterior Parking Camera Rear, HD Radio, Heated front seats, Lane Keep Assist & Departure Warning System, Multi Contour Seats w/Active Motion, Navigation System, Power Moonroof, Radio: Sony AM/FM Single CD/MP3 Capable, Rear Parking Sensors, SHO Performance Package, Sport Tuned Suspension, SYNC 3, Ventilated front seats. 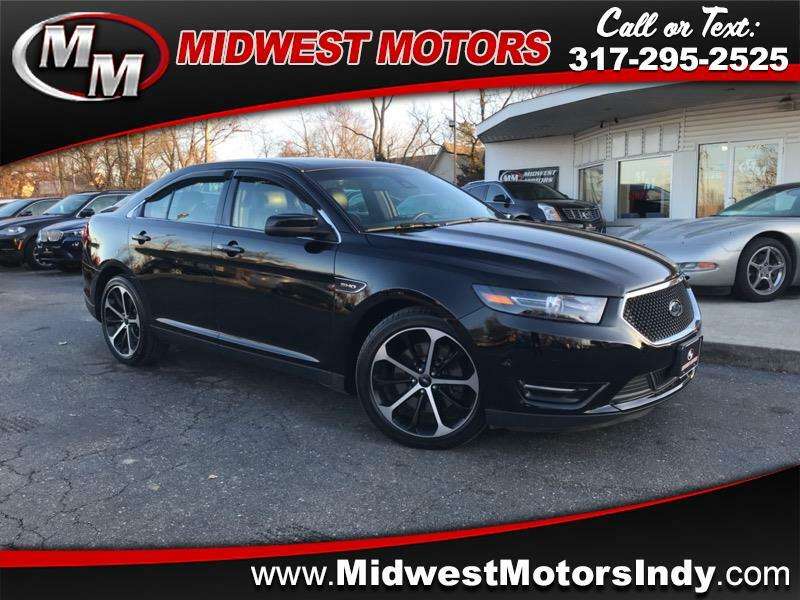 Visit Midwest Motors online at midwmotors.com to see more pictures of this vehicle or call us at 317-295-2525 today to schedule your test drive. Prices do not include charges for sales tax, Vehicle document fees, tag fees, or vehicle registration fees. Residents of states outside of Indiana area are responsible for taxes, registration, and title charges in their area. While our title preparation charges are Free for our customers, we have no control of the State taxes and fees. Graphics are representational only. All photos may not depict actual vehicles and option packages. While we do our best to list trim packages, prices and equipment accurately, we are not responsible for typographical errors, it's the customer duty to verify all options, packages, and integrity of the Vehicle they're buying. All Vehicles are Sold AS-IS, we disclaim any and all implied or express warranties, as well as implied warranties of fitness for a particular purpose. Third Party Warranties are Available.